Connect to Authentic Success is by Amanda Steadman who is a speaker, author, trainer and serial entrepreneur. This book is what it asks us to be: focussed. It provides a clear and concise path for us to follow if we want to achieve success. Amanda is not in the least prescriptive about what success might mean; she leaves us to work it out for ourselves. However she is clear that that for her, working out how to be doing something you love and having time left over for the people who are important to us, is what she wants to achieve for herself. The book sets out clearly how we can go about being successful but it is not all about process. It is also about using our emotions intelligently, in the process. The purpose of the book is to help in goal-setting but setting them with a passion. She explains that she has been doing this for some time but in more recent times she has understood that it is not just about the approach being mechanical. We need an approach which leaves us feeling good about ourself and our work and also lets us have other priorities too. Finally purpose, i.e. what are we meant to be doing with our life. We get a bonus chapter called ‘The Chocolate Effect’, which immediately made me want to read it! In each chapter there are some general pointers, anecdotes and tips from successful people which are entertaining, interesting and helpful. However, it is the Action Station at the end of each chapter which is the meat of the book. Amanda encourages us to ask ourselves some very searching questions which I suspect some of us might find uncomfortable. I can see why they could be useful in getting us to really think about ourselves and what we truly want to achieve, what is important to us. Some of these questions are not for the faint-hearted! There are also resources which Amanda has made available as part of the book. A couple of things which were covered particularly resonated with me. Look at the backgrounds of others who have been successful; (clearly you will have your own gurus dependent on what is important to you) study them and get to know how they came to be successful. Also, the fact that you don’t have to do it all yourself. There are people around you who can help but it will depend on your particular path as to who these people are. Examples are provided to help you think about it. In this book, Amanda has broken down the steps to setting goals and achieving them in such a way to make it feel do-able, a very useful book. 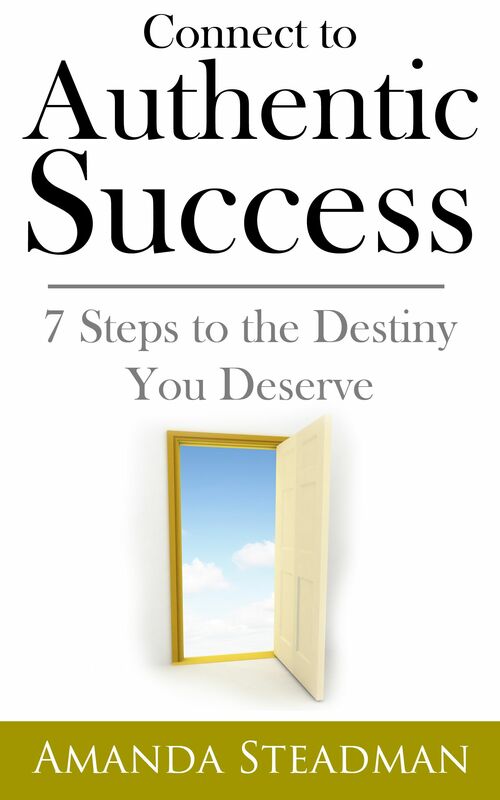 This is a very useful book which makes you truly think about what you want to do and how you want to do it in order to be successful and its not all about material success, which is refreshing.